Average and median price paced more moderately with a 2 percent and 3 percent increase, respectively. The majority of sold homes (47.6 percent) were pried between $200,000 and $500,000. 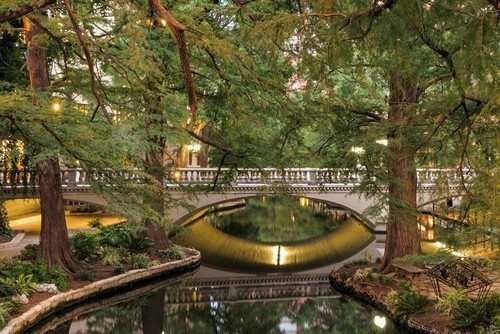 In another solid month for the San Antonio housing market, all three major pillars of real estate growth — sales and average and median prices — increased, according to the San Antonio Boards of Realtors (SABOR). Last month, the total sales in May came to 2,807 — a 10 percent increase from May 2015. While number of sales showed higher year-over-year growth, average and median price paced more moderately with a 2 percent and 3 percent increase, respectively. The average price for San Antonio homes reached $249,024, while median price grew to $208,700. Both are under the statewide average of $271,213 and median price of $217,000. Last year, the market saw average and median price year-over-year growth of 10 percent each. While average and median price boosted moderately in comparison this year, the San Antonio housing market is still moving at a healthy upward rate. 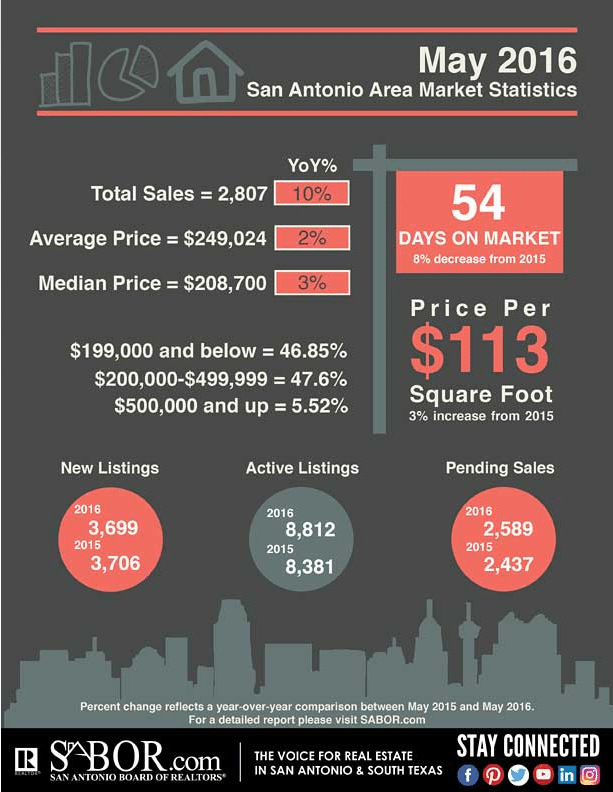 San Antonio’s May housing market increases in sales and average and median sales prices. Breaking down the sales, 46.9 percent of homes sold in May were priced under $200,000. The slight majority, 47.6 percent, were priced between $200,000 and $500,000. Within that, the largest share (18 percent) fell in the range of $200,000 and $250,000. Just 5.5 percent of May’s sales were over $500,000, and 15 homes sold were priced over $1 million. “With interest rates remaining low and thousands of new listings coming on the market each month, there is something for everyone,” said SABOR President and CEO Angela Shields. In Bexar County, homes sold for an average $234,778 with 47 days of market time, on average. Out of the 2,065 homes sold in the county, the majority were existing (1,792) as compared to new construction (273). Across the state of Texas, 28,613 homes moved off the market at a median price of $217,000 — a 5.9 percent increase from last year. Inventory sat at 3.6 months, while sold listings averaged 53 days on the market.